I think your phone might be possessed. lol. It's weird. Sometimes you're getting tons of complaints and I have no issues. Other times, it's annoying me to the point of logging off and you can't replicate. Yet it's only on VN. Whoever creates those things will have a special place in hell. Right beside robocallers. I can just double tap the screen and swipe my pattern. Yeah, I could do that but I like face id when i have the phone in my hand. Lol so you don't need the sensor for that. Can you have both of those methods working at the same time? Yeah I have them both working now but iPhone waits a couple seconds before giving up on looking for a face and asking for a password. If it had an in screen fingerprint sensor I’d use that exclusively. We can use them simultaneously. I think i just realized i don't miss the back sensor as much as i thought i did lol. Yep, @Freak I think there is also a Walmart ad that won't let you you use the back button on mobile. Got that one also. Completely closed out that page and reopened VN, haven't see it again so far. Post pics/link if you can. 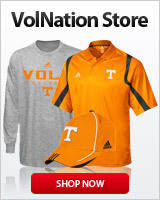 I'm now getting site warnings for Volnation. You guys in iPhone? If anyone can post a link and or pic that will help. @Freak Also check for something in the Google ads! Said mine was better but suddenly, it's horrible. Can barely use the site. minutes at a time then frozen. @utvolpj is on android, remind me what platform you're on @chargervol ? Working on it. Please keep posting. This seems to be a new batch of nonsense.